“Once in a long while a book publisher, because of definite signs and general intuition, feels the touch of magic that makes for an important book. . . We believe we have such a book,” John Farrar and Roger Straus wrote to reviewers and booksellers in March 1949, a month before publishing The Lottery: or, The Adventures of James Harris. The book was featured in early reviews in both the daily and Sunday New York Times, the Associated Press called it “a work of genius and the publishing event of the year,” and the US government bought 1,500 copies for Army and Navy libraries. Two days before the official publication date of April 13, The Lottery had already gone into a second printing. Within two months it sold 5,000 copies, almost unheard of for a collection of short fiction. Shirley Jackson was thrilled by the sales—the previous Christmas, with no advance yet for [her husband] Stanley Edgar Hyman and a number of her stories circulating but not yet accepted, she had been reduced to asking her parents for a loan. (After the book appeared, Geraldine wrote that she and Leslie were “very pleased and proud that the new book is dedicated to us—our little girl getting so well known” but characteristically refrained from saying anything about its contents.) But Jackson found Farrar, Straus’s promotional efforts distasteful, if effective. They were playing up the book as “the most terrifying piece of literature ever printed, which is bad enough, and . . . [saying it] will give ulcers to anyone who reads it,” she complained, rightly believing that such insinuations trivialized her work. 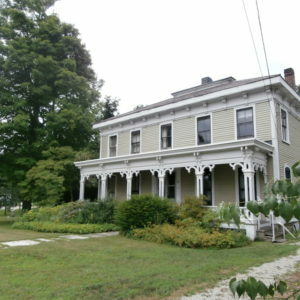 Publicist Pyke Johnson was telling any reporter who would listen that Jackson had used witchcraft to break Knopf’s leg. “Boy, that story is sure going to sell copies,” he told her, slapping her on the back. His instincts were correct. “With attractive features and a pair of quite un-evil eyes behind glasses, she does not resemble a witch,” wrote W.G. 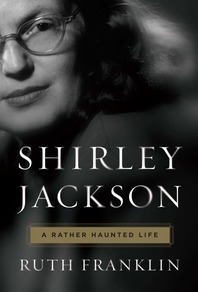 Rogers in a profile of Jackson for the Associated Press (headlined “Shirley Jackson Is ‘Sure ’Nuff’ Witch”). He brought up the story about Knopf and asked Jackson to tell him all about black magic. “fortunately he had just bought me two drinks, so i was able to tell him, very fluently indeed, about black magic and incantations and the practical application of witchcraft to everyday life, most of which i remembered out of various mystery stories,” she wrote to her parents. The part about the mystery stories, Jackson’s indulgence throughout her life, wasn’t true. Her library of witchcraft books, as Rogers noted in his piece, now numbered in the hundreds of volumes. Rogers’s remark in his review of The Lottery—“Miss Jackson writes not with a pen but a broomstick”—would be repeated by countless wags in the years to come. Reviewers also compared her to Saki and Truman Capote, neither of them “writers i admire particularly,” she grumbled. i don’t like housework, but i do it because no one else will. my older daughter and i are practically learning to cook together. i write in the evenings mostly, i guess, although sometimes i let the children help me write in the mornings. they are all very sympathetic about my writing, and my son no longer tries to justify me to his friends. I live in a dank old place with a ghost that stomps around in the attic room we’ve never gone into (I think it’s walled up) and the first thing I did when we moved in was to make charms in black crayon on all the door sills and window ledges to keep out demons, and was successful in the main. There are mushrooms growing in the cellar, and a number of marble mantels which have an unexplained habit of falling down onto the heads of the neighbors’ children. At the full of the moon I can be seen out in the backyard digging for mandrakes, of which we have a little patch, along with rhubarb and blackberries. I do not usually care for these herbal or bat wing recipes, because you can never be sure how they will turn out. I rely almost entirely on image and number magic. Whether understood as a parlor trick or something more, Jackson’s magic was of a piece with her housewife persona: it had a thoroughly domestic cast. “i’m a kind-hearted mama who studies evil all the time,” one of her late characters says. (The line is a reference to Robert Johnson’s “Kind Hearted Woman Blues.”) One of her favorite “tricks,” friends would recall, was to slam a kitchen drawer jumbled with utensils and name the one she wanted; when she opened the drawer again, it would invariably be on top. She and her editors had a running joke regarding her ability to engineer victories for the Brooklyn Dodgers. “I suggest you write to Shirley and have her order from her usual source of supply a series of light sun-showers for Saturday, to end with your arrival at the stadium,” a mutual friend wrote to John Farrar in a letter that accompanied tickets to a Dodgers-versus-Yankees World Series game in 1949. “I’ll be glad to reimburse her for all materials used in the order: Eye of newt, and toe of frog . . . the usual stuff.” She was said to have turned up at Ebbets Field “with a string of rattles and other gadgets” to hex the Yankees. Alas, Jackson’s magic was insufficient: the Dodgers lost. All that was fine, as long as no one else took it seriously, or suspected that she took it seriously. But in some ways she did. Witchcraft, whether she practiced it or simply studied it, was important to Jackson for what it symbolized: female strength and potency. The witchcraft chronicles she treasured—written by male historians, often men of the church, who sought to demonstrate that witches presented a serious threat to Christian morality—are stories of powerful women: women who defy social norms, women who get what they desire, women who can channel the power of the devil himself. In classic accounts of the witches’ sabbath, a gathering of sorcerers and witches presided over by Satan, the sexual and domestic connotations are obvious: witches attend naked, flying to the sabbath via their chimneys. In the earliest chronicles, they flew on pitchforks; later the pitchforks turned into brooms, another symbol of home and hearth. To call oneself a witch, then, is to claim some of that power. Everyone will be afraid of me and do what I say, reads one of the notes left by the creek in The Road Through the Wall, a note written by a victimized girl. a story can derive from anything. my daughter sally pointed this out to me most vividly one irritating morning, when i was wrestling with the refrigerator door, which would never open easily; sally came into the kitchen and told me that fighting the refrigerator was useless; what i needed was magic. when i thought about it, it seemed like a better idea, so i abandoned the refrigerator and went in to the typewriter and wrote a story about trying to unstick the refrigerator door and when the story sold i bought a new refrigerator. thus experience plus magic equals fiction. From SHIRLEY JACKSON: A RATHER HAUNTED LIFE. Used with permission of W.W. Norton. Copyright © 2016 by Ruth Franklin. Ruth Franklin is a book critic and frequent contributor to The New Yorker, Harper’s, and many other publications. A recipient of a New York Public Library Cullman Fellowship and a Guggenheim Fellowship, she lives in Brooklyn, New York.